Riley Hacker, age 71 of Nancy, Kentucky, formerly of Leslie County, passed away Monday, February 04, 2019 at the Lake Cumberland Regional Hospital in Somerset, Kentucky. He was the son of the late Keen and Dallie Hacker, born in Leslie County, Kentucky on July 25, 1947. He was a self employed carpenter, and heavy equipment operator. 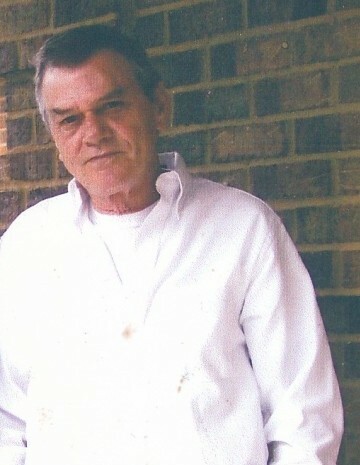 Riley was preceded in death by his parents, two children, Josh and Janet Nicole Hacker, sisters, Mary Gray, Faye Bowling, Margie Yates and Helen Burns. Riley is survived by one son, Steven Lee Chambers of Hartsville, Tennessee; three sisters, Ruth and Eugene Napier of Stinnett, Kentucky, Wilma and Lynn Barrett of Stinnett, Kentucky, and Rosenell Roberts of Stinnett, Kentucky; five brothers, J.R. and Joy Hacker of Nancy, Kentucky, Ronnie and Theresa Hacker of Lexington, Kentucky, T.R. and Evelyn Hacker of Stinnett, Kentucky, John and Peggy Hacker of Stinnett, Kentucky, and Doc Hacker of Stinnett, Kentucky. Along with several nieces and nephews, great nieces and nephews; special friends Terry Morgan and Sally Stone. Funeral Services will be conducted Thursday February 7, 2019 at 1:00 p.m at the Stinnett Pentecostal Church, Stinnett, Kenucky with Junior Bowling and Jeff Roberts officiating. Burial will follow in the Hacker Cemetery at Stinnett, Kentucky. The family will receive friends at the church after 6:00 p.m. Wednesday. Wolfe and Sons Funeral Home has been entrusted by the family to be in charge of all the arrangements.